Kun Gek Do-also known as Gwon-gyokdo is the martial art of Korean Kickboxing. In some parts of Korea, Korean Kickboxing is known as Kyuk Too Ki, but this is more of a rule-set than the actually martial arts style. 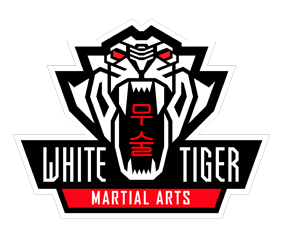 Two martial art styles that are commonplace in use in Korea are Muay Thai and Taekwon-Do. Each art has its own set of rules in it’s respective sport, so competition directly between Muay Thai and Taekwon-Do fighters was impossible. Kyuk Too Ki is the rule-set that came about from the aspirations of these two arts to compete. Once there was a rule-set in place that allowed moves of both fighting styles a new type of fighting was tailor made for this set of rules. That is how Korean Kickboxing got its start and began to develop its own style. Korean Kickboxing uses the basic Taekwon-Do kicking style, but also adds in leg blocks and Muay Thai style striking with the knees and elbows. The less efficient part of Muay Thai, mobility, is disposed of and the art adopts a majority of Taekwon-Do footwork. Korean Kickboxing's footwork is made mostly of Taekwon-Do slides and quick steps. To dodge a punch in Korean Kickboxing, you use the moves of Western Boxing and slip the punch bobbing or weaving out of the way of harm. Also like Western Boxing, Korean Kickboxing does not use open-handed striking or blocking techniques. The term “Kun Gek Do” stands for “The art of attacking and punching”, “Kun” (pronounced “Gwun”) means “Fist” or “ Punch”, “Gek” (pronounced “GYUK”) means “Attack”, and “Do” means the “Art” or “Way”. All participants must be licenced. The sessions run at the Wheatpieces Community Centre, Walton Cardiff, Tewkesbury. GL20 7SP. Please note: Anyone taking part in strenuous exercise must seek the advice of their GP prior to starting these sessions.